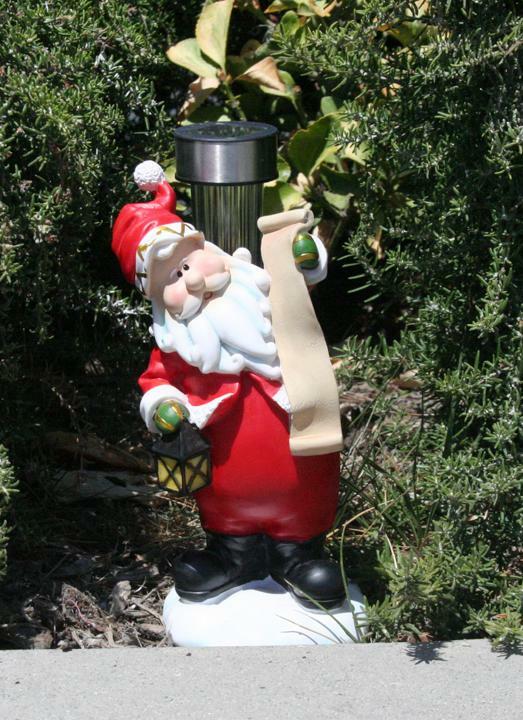 Add this Santa solar light holiday statue to your patio, porch, flowerbeds or any outdoor area this holiday season. This solar Santa is checking his list under solar light that will provide a admirable and luminous glow at night. This solar Santa is crafted from durable, weather resistant polyresin and heat resistant plastic. The solar light turns on automatically at night, and lasts up to 8 hours when fully charged. This solar Santa with solar light is fast and easy to install. No wiring needed. This solar Santa light will brighten your holidays and decorate any garden on Christmas for many years.